While visiting museums and exhibitions during travels is somewhat mandatory, touring our own cities and sightseeing their history is something we need a special reason for. I stumbled to this fact with many people and it is not much different with us as well. This special reason today was a time gap we've got between couple of errands we needed to finish downtown, so we decided to stop by WW2 Nazi concentration camp, now a perfectly preserved memorial museum and one of three in Serbia during the second world war. "Crveni Krst", concentration camp was named to nearby railroad station with more than 12000 people passed through its dark chambers who either died within or executed on the nearby hill "Bubanj". 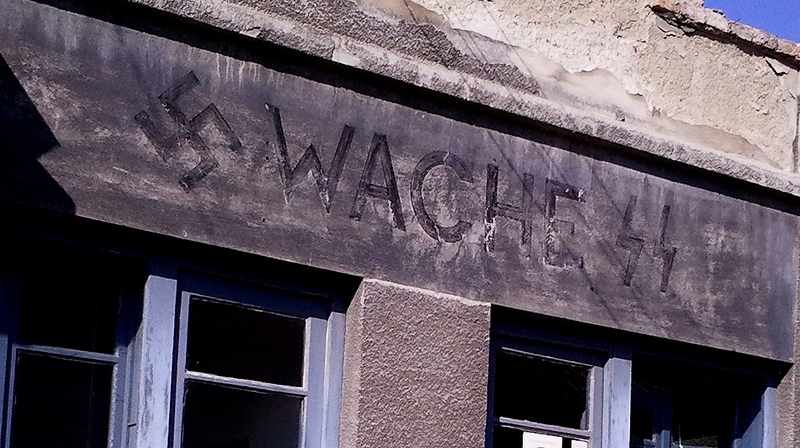 Probably similarly to other camps in Europe, this one imprisoned mostly Jews, Roma and members of the resistance, mostly partisans, communists and their supporters. Compared to the camps in Germany at the time specially populated with soldiers and officers, this one can be sorted with those known for extreme cruelty and terror. Prisoners are tortured and executed on massive scale by large machine guns and buried in mass graves. Initially the camp was only surrounded by wire, as it is located in the buildings of at the time military storage facilities. Faced by imminent death, people in this camp organized prison break in February 1942 and while many of them died in the attempt, 105 managed to break the wires and escape. After that Germans built a big stone walls around the buildings and assassinated about 1000 people in retaliation for killed German soldiers during the break. I researched a little wikis and some articles on the net and found cruel fact that more than 100 camps like this one or bigger were established around the Europe and more than 4,000,000 people lost their lives there. That's the number of average populated country in nowadays Europe! Scary. Back in 1941, my grandfather was 21 years old and as a soldier in, at the time, Yugoslavian military his complete unit was captured at the first German waves in April 1941 and he spent whole WW2 captured in one of this kind of camps in Germany. He was lucky as his camp was established to kept surrendered soldiers and they were treated with more military respect compared to camps for Jews or others well known for their cruelty. 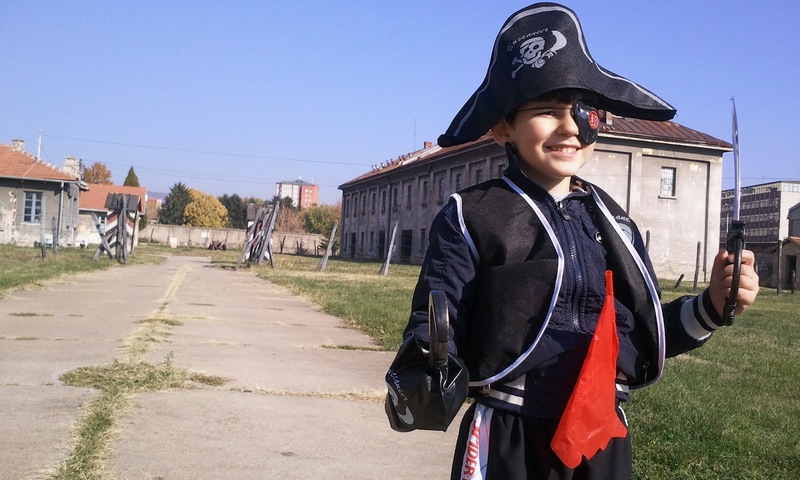 Viktor is still too young to comprehend all this, but his outfit for the occasion was almost appropriate as he finally got his pirate costume he always wanted to wear, especially while watching "Peter Pan" for 100+ times. Perhaps one of the best testimonies by modern travelers I've found within Merlin and Rebecca blog. Following is a short quote from their story about Crveni Krst and other camps during their European travels.